Top 5 Motorcycle Routes In Africa – Get Ready For An Adventure! You can travel Africa in a number of ways, and there are some great motorcycle routes across the continent for sure. It’s important that you know more about traveling around Africa if you decide to take one of these trips. You could certainly hop on a tour bus instead, but the option of riding a motorcycle sounds so exciting, doesn’t it? Here are the 5 of the top motorcycle routes in Africa along with some information about planning one of these adventures. First, are you planning to go on this trip alone? If so, you might want to see if you can join a group or at least hire a tour guide. There are problems you can run into along the way on a long journey like this, and so it’s best if you go in a group. 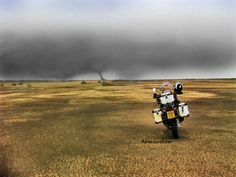 That’s what the experts recommend when it comes to traveling Africa on a motorcycle. 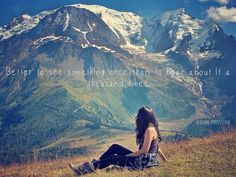 Some of these trips can last for months, if you book them with a tour company. You may have read that last tip and thought you needed to plan your vacation with a group of people you know. You don’t necessarily have to do that or simply just hire a tour guide. 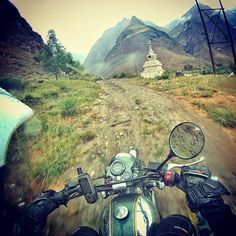 You can just book your motorcycle tour with a company that offers these trips and knows the area quite well. The trips you can book follow different routes, so you might want to familiarize yourself with the parts of Africa you want to visit. You will also notice that they are broken down into the number of days or months and the amount of miles you will travel. For example, there is a motorcycle tour of eastern Africa that lasts for 75 days and is a total of 10,300 miles. You don’t have to book such a lengthy trip if you don’t wish to do so. It’s just up to you how long you want to ride around exploring the continent. 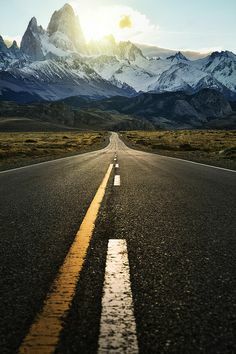 It’s going to be a great adventure for sure. Now let’s look at those top 5 motorcycle routes in Africa. That way you can start to get an idea about what type of trip you might want to book. One of them is Ceuta to Marrakesh Loop, which will find you traveling through Morocco. This exotic journey is going to be the adventure of a lifetime. 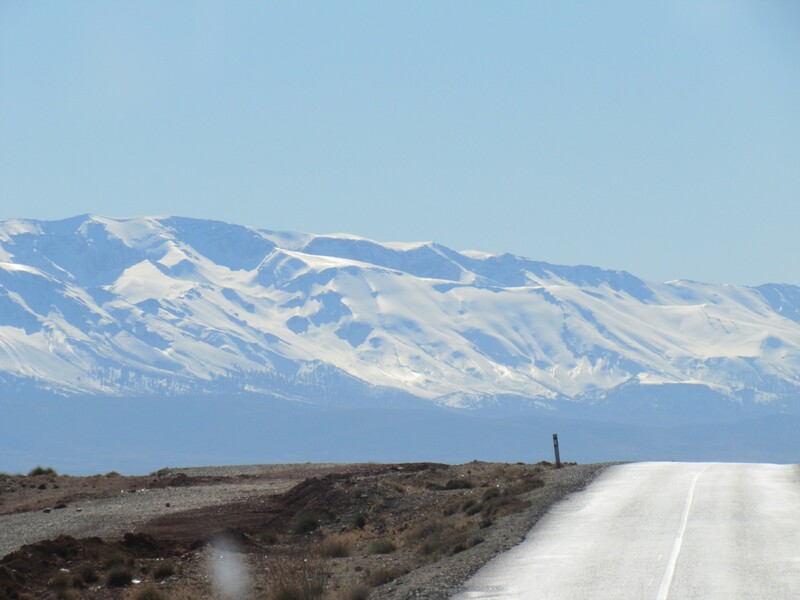 If you book a winter excursion, you’re going to get to see the snow-capped Atlas Mountains. That would be a majestic scene for sure. Does that trip sound like a plan to you? Another one of the top 5 motorcycle routes in Africa is the Cape Town Circuit, which is going to put you traveling around South Africa. The two motorcycle routes that were mentioned so far aren’t just the best in Africa but two of the best in the entire world. That just tells you how cool it is to travel around Africa on a motorcycle. Africa is a large continent, and so you can imagine that there are plenty of motorcycle routes to take. While some are considered the best in the world, others might not come highly recommended. That being said, it pays to know where to go and what to book. Therefore, you have 3 more motorcycle routes coming your way. 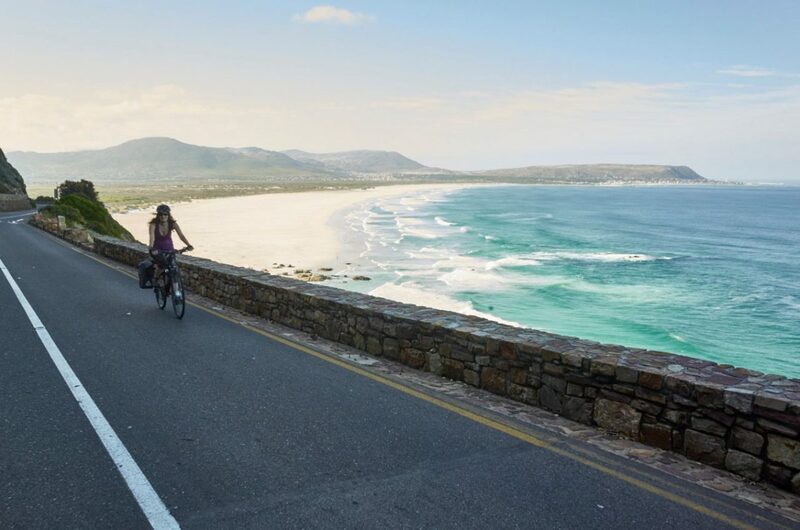 The Atlantic Seaboard along the Western Northern Cape is a great ride for sure. The Garden Route to Cape Town is another popular adventure that you can book. Riding along routes in the Eastern Cape is also a great way to explore Africa. You just have to decide where you want to go and what you want to do. Have fun riding a motorcycle across the continent of Africa. What Exactly Should I Expect During An African Safari? Sam has a new ride! Meet my new bike 😊 It may sound weird but this is only the third bike I’ve owned. The first was the Kawasaki KDX 125 I learnt to ride on, and the second Libby of course. It’s been great fun kitting this one out. I have the wonderfully spacey new Challenger panniers from #JesseLuggage, a much taller #MRA adjustable screen and the very powerful #Denali spots from #TwistedThrottle, waterproof tank panniers (and bags for my presentation pop up banners) from #Lomo , the excellent ‘Mirror Lok and Moto Doc from #Motomanufacturing neatly designed bash plate and bars (hope I don’t need ‘em) from #OutbackMotortek very efficient luggage straps from #GreenChile and the superb TrekRiders from #Avontires . Well sorted! Ill tell you how I get on with each of them in due course. An action packed episode of ARR this week. Trouble on a trip in a big way - And tough tire questions answered that you didn't know you had. On some of our past Rider Skills episodes you’ve heard the voice of Coach Ramey Stroud, who headed up the Cascade Endurance Centre rider training complex on his ranch in Oregon. After a horrific racing accident when he was 56 years old, he was told that he would never walk again. But, years of determination and perseverance proved doctors wrong. He finished the race that had broken his back, rode around the world on his motorcycle with a sidecar, and started his training centre. Last week, Coach Ramey Stroud passed away, a tremendous loss to the riding community. But, his voice and teachings live on for many, including in the minds of those he has influenced through training, and for us and our listeners on Adventure Rider Radio. 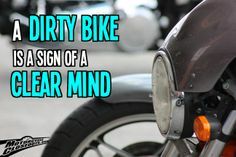 A dirty bike is a sign of a clear mind. They're windproof and waterproof! 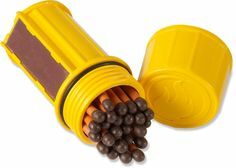 Comes with 25 stormproof matches, 3 strikers and a waterproof case. Hope these guys have good tent stakes! 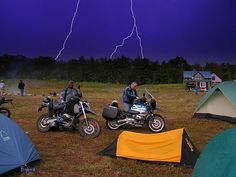 We are the leading world travel and motor bike blog. Our main focus is to share our world travel insight and knowledge. If you are a world travel fanatic and bike tours you have come to the right place! It's like insurance - would you skip insurance? Self contained with real keyboard - sends messages to cell or email and has it's own cell number for easy responding. We had Mark on the show a while back - the ebook is now done! I am delighted to announce that the story of my journey around the world is now published as an ebook on Kobo. "REBIRTH" is a very personal account of my journey around the world on the world’s largest motorcycle. In late 2016, the company that Sue and I ran for 28 years went in to administration. Eleven days after that, following a long fight with cancer, she died. I set off from London to attract attention, deliver messages to the world, and share passions. I asked the world to deliver something to me in return, but in my wildest dreams I could not have imagined how it would turn out. Mexico - 50 Miles (80 Kilometers) to Go, 3 Riders Down - Adventure Time! Jim Hyde from RawHyde Adventures talks tips for group travel. Do you use these QR codes?